As a subconsultant to HNTB, Alta Vista provides independent quality assurance and oversight for the new NY Tappan Zee Bridge in New York. Now completed, the bridge is one of the longest cable-stayed spans in the U.S., with two parallel spans accommodating eight lanes of traffic. Our team provides proactive solutions in coordinating with the designer and contractors, and is the New York State Thruway Authority (NYSTA)’s representative for steel girder assembly in New York. 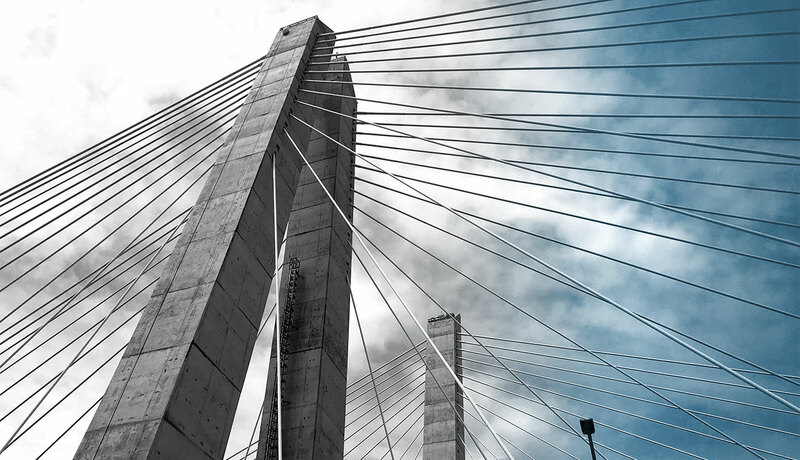 We also provide quality oversight and fabrication inspection for the bridge’s major precast concrete segments, including materials engineering, coating (NACE) inspections and testing, precast concrete (PCI) inspections, and assembly fit-up and tolerance verification. With the on-call flexibility to provide presence at remote locations and a collaborative approach, our team is able to provide expert technical leadership as well as design-build oversight experience for the success of this project.